their whimsical poses and playfulness! They would really look good as an embroidered theme in a little boys room on pillows and window treatments. Or you could even make an outfit with embroidered designs for that furry friend of yours. 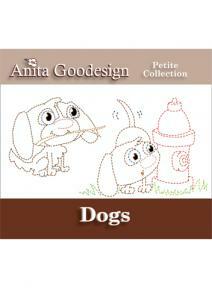 This collection has 6 unique dog designs in two sizes.